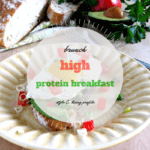 Fancy a high protein breakfast that’s loaded with healthy fats, vitamins, and minerals? 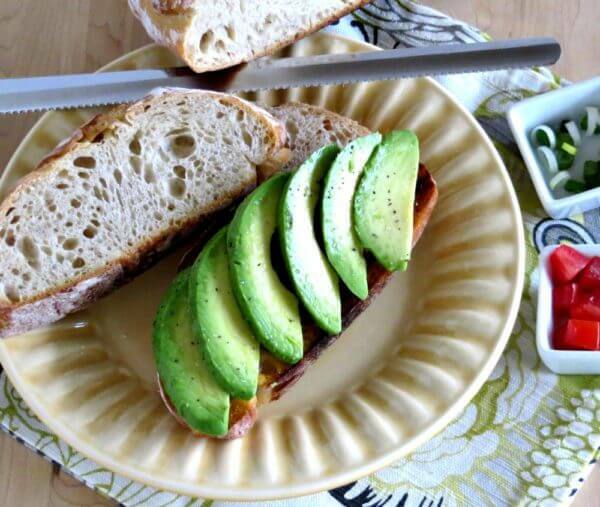 My creamy avocado and crusty bread recipe is a match made in heaven. Top it with a running egg for a delicious, healthy, and satisfying breakfast or brunch. Surprisingly, avocado is high in fiber, which helps you to feel fuller longer. Some other tasty additions are crumbled bacon, diced red onion, and fresh herbs. Brunch hard! Lightly toast the bread and set aside. Slice the avocado in half, remove the pit, and squeeze the lemon juice over the exposed flesh. Use a large spoon to remove each half in one large piece. Cut each half into 5 - 6 thin slices. 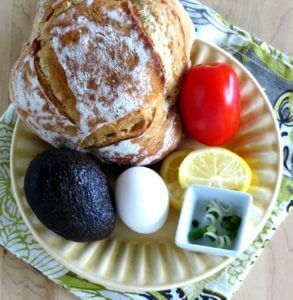 Lay the avocado slices on each piece of bread and sprinkle with a pinch of salt and pepper. Fry two eggs to your preference. We cooked ours sunny-side up, but you could do over-easy, poached... whatever you like. 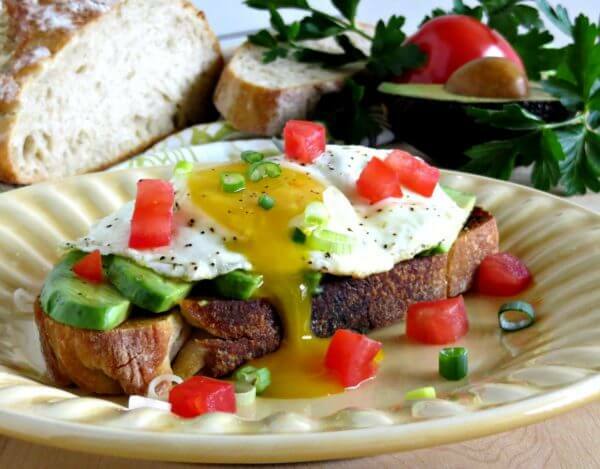 Carefully place an egg on each piece of bread over the avocado. Sprinkle each piece of toast with one tablespoon of tomatoes and one tablespoon of green onion. Serve immediately and enjoy!